The thing is this— the salon where I get my hair done is New York-chic. Bangz has won all kinds of design awards not only for its very talented staff of hair stylists and colorists, but also for its restoration of the Masonic temple that houses it. It’s the type of salon one gets dressed up and made up for. You go there looking your best so it’s reflected in your hair style. But I’m nearly half way to my goal and I am not about to quit now. No make up. No mask. Just me. While thinking about this in the shower, I recalled another time when I had this same experience. We were on a well-earned vacation in Hawai’i in 2012, celebrating all of our graduations—Cesca from grad school, and the rest of us from the Hyde School with Zack graduating high school and us completing its parents’ program. Each of us had chosen something we wanted to experience on this epic two-week adventure in paradise, and I’d selected swimming with the dolphins. 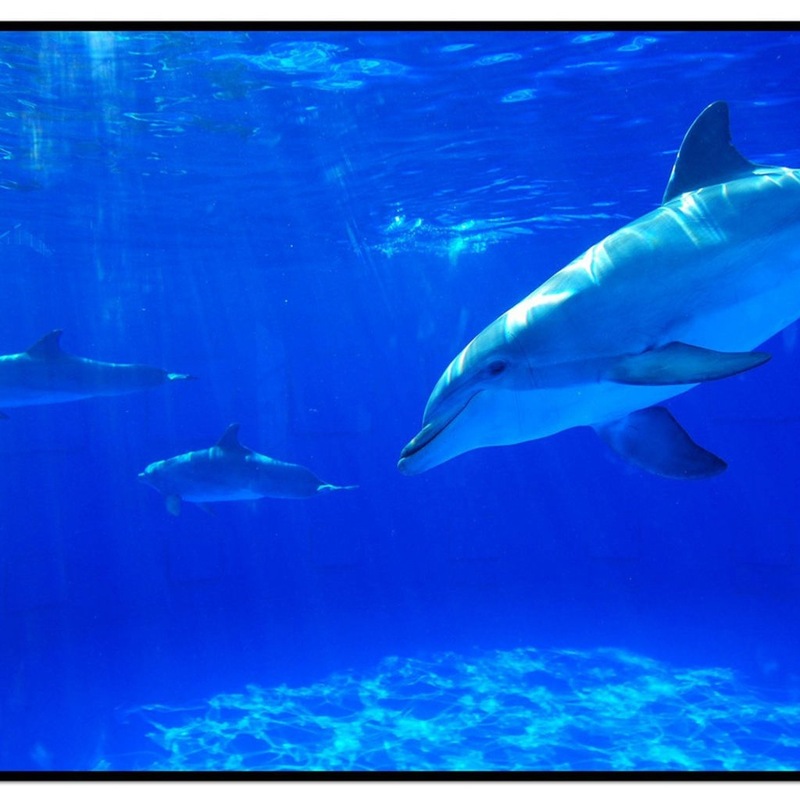 We were fortunate to find an environmentally approved company that would respect the dolphins habitat and privacy, not venturing into their sleeping or personal space, and not inflicting human contact on them. It would be up to the dolphins to show up and swim alongside the boat if they chose. And they did. We cruised out to the location the crew knew to be familiar to the pod. As we neared, dolphins swam near our boat, racing ahead and doing spins and flips. We slowed to a halt to watch their play and take photos. 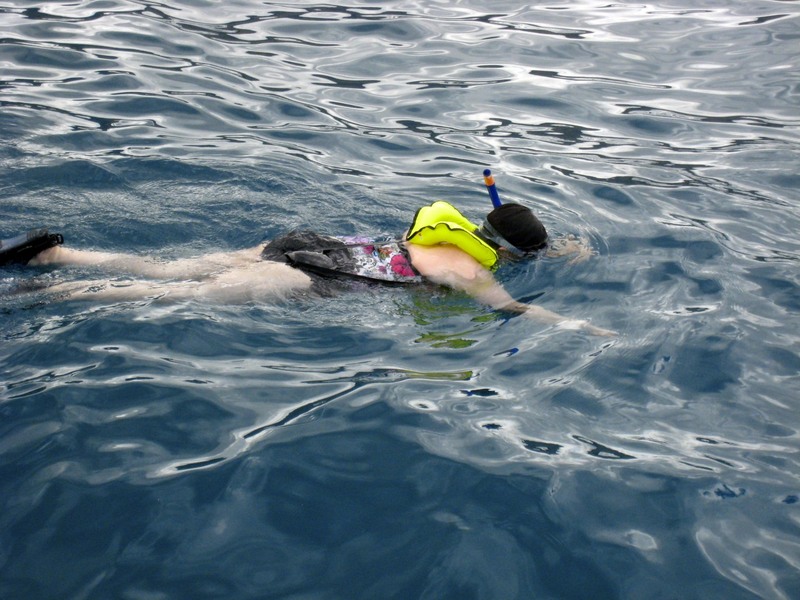 When they tired of their play and drifted away, the captain took us over to a coral reef off of the shoreline while the crew hauled out snorkeling gear for those who wanted to get into the water to experience the sea life. Before I realized what I was doing, I found myself buckling up a life jacket and strapping on flippers. See, the thing is, I don’t like deep water. In fact, I’m not much of a fan of water at all. But all I could think in that moment was that I this is what I came to Hawai’i for and I wasn’t going to chicken out now! I eased myself off of the boat’s ladder and into the ocean and noticed a good number of people were already pretty far of me. I continued to take my time, focusing on what I was doing to distract myself from the vastness of the ocean. Lowering myself into the water, I didn’t think about how silly I looked in the gear and the swim mask. The life vest and flippers made my swimming much easier, as long as I remembered how to breathe with the snorkel in my mouth. Finding my body’s rhythm, I began to relax, gaining distance from the boat. 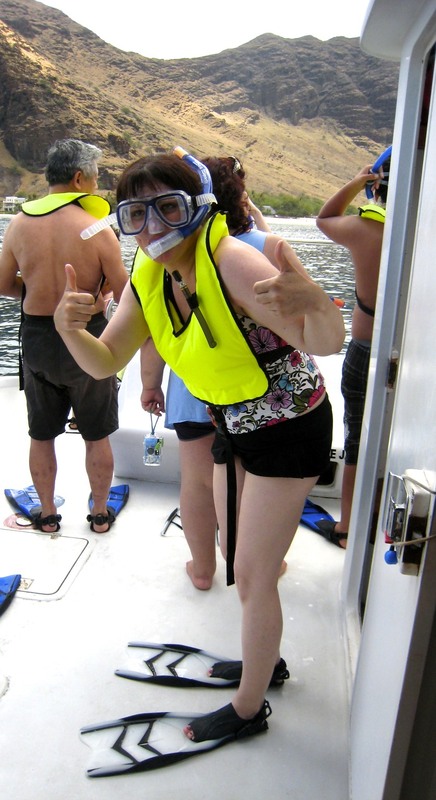 No one was near me as I swam towards the group of snorkelers. And then I looked down, down into the depths of the ocean beneath my body. The distance between me on surface of the water and the coral reef on the ocean’s floor was disorienting. I started to breathe through my nose and into the swim mask, which set off the beginnings of hyperventilating. I started to panic. Drawing strength from this wisdom, I calmed myself and focused on my breathing. I became aware of my body floating effortlessly in the water and allowed my body to completely relax into its movement. Amazed, I realized that my body knew exactly what it was doing without interference from my mind. Finally relaxed, I became aware of my surroundings. The coral reef looked like what I imagine the Grand Canyon might look like from the air. The colors of the fish were beyond description. And then I began laughing into my snorkel. I’d swum behind a school of fish, and into a sea of fish poop! Copyright by Donna Cerame, 2014.